well, we’ve been doing this graphic design thing for 30 years now and we figured it was about time to lighten our load of some memorable art we have created over the years. 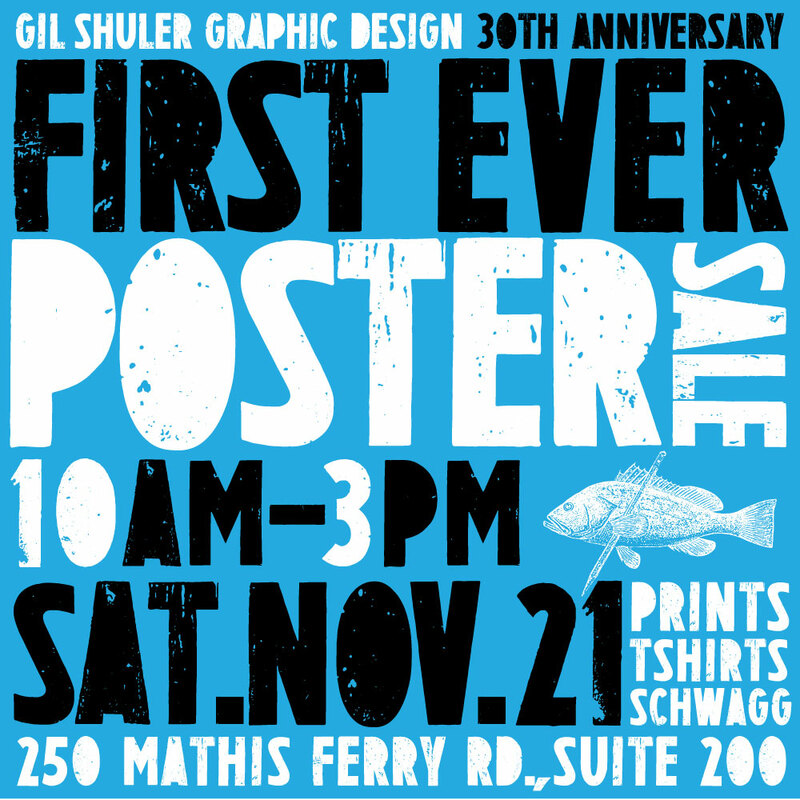 we’ll have signed and numbered hand pulled posters as well as some letterpress posters and of course some great offset lithography work. also, 3o years of creating art generates lots of t-shirts, some cool, some sucky but tishirts none the less. so make your calendars and come shop at gsgd. you’ll be glad you did. right on.